A moving tribute to the world’s most famous bear Oliver rescued from a bile farm debuted in China at an exclusive Animals Asia event in Shanghai and is now available to the public. Moon bear Oliver incredibly endured 30 years on bear bile farms in China. Confined to a cage hardly bigger than his body, suffering bodily mutilations and an existence utterly devoid of any stimulation but pain, it is a miracle Oliver survived. From a western point of view, one of the most amazing aspects of the movie was the widespread local concern for Oliver when he almost died at the side of the road following his rescue. “Oliver’s story has been such an inspiration in China and really opened many people’s eyes about what was going on behind closed doors. This beautiful, broken bear captured our hearts, and ultimately the hearts of so many people in China and across the world. It’s a miracle he survived those 30 years, it’s a miracle he survived the surgery, and it is a miracle that he was able to put it all behind him and enjoy four beautiful years of sanctuary. 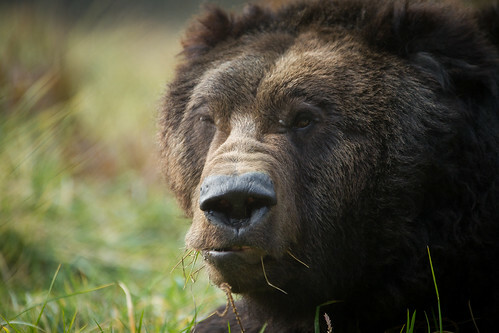 During his 2010 rescue from a bear farm in Shandong, Oliver was transported over 2000km and survived life-saving surgery on the roadside. The Animals Asia rescue team received vital help from police and doctors from a local hospital as the community rallied to Oliver’s side, knowing they were integral to his survival. 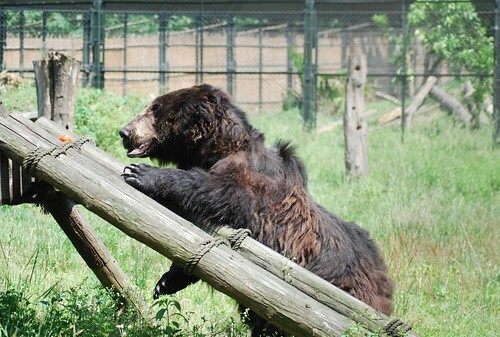 This inspirational bear went on to enjoy four happy years at Animals Asia’s Chengdu sanctuary – his gentle, forgiving nature making him a focus point for the country’s support of animal welfare – before passing away in 2014.